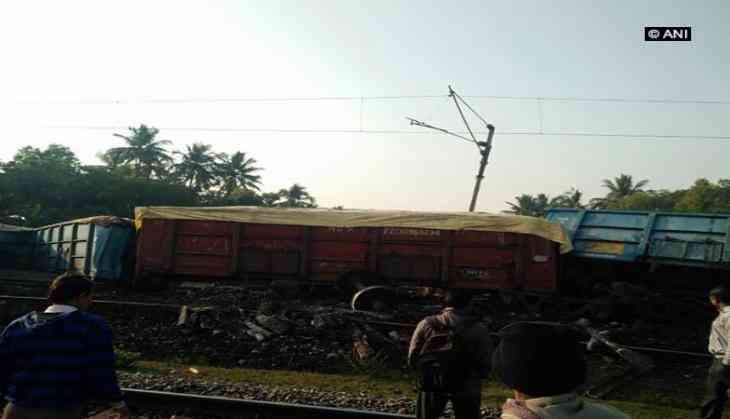 At least 14 bogies of a coal laden goods train derailed near Odisha's Jagatsinghpur district on 24 November. The incident occurred at 5:55 am, near Gauli station here. The Indian Railways informed that restoration of affected line is expected to be completed by tomorrow. Earlier in the day, Vasco De Gama Patna Express derailed was also derailed in Uttar Pradesh's Chitrakoot district claiming lives of three people and left seven injured. The CPRO of NCR region, Gaurav Krishna Bansal informed that 13 coaches of the train slipped off the track at Chitrakoot's Manikpur station at 4:18 a.m. when it was leaving from the platform.